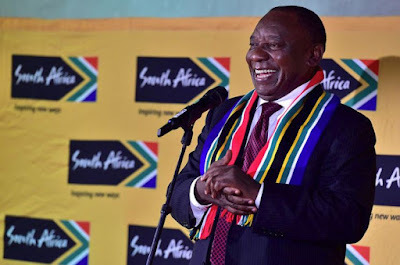 President Cyril Ramaphosa was on Sunday announced as chairperson of the African Union for 2020, when he will take over from Egyptian President Fattah el-Sisi, AU chair for 2019. Ramaphosa is leading a high-level South African delegation at the 32nd ordinary session of the Assembly of African Union Heads of State and Government taking place in Addis Ababa, Ethiopia, from Sunday to Monday. Apart from the election of the chairperson of the AU for 2020 – a position that will rotate to the Southern Region – the summit is also expected to deliberate on a number of other issues. These include the institutional reform and financing of the continental body, peace and security on the continent, developments related to the African Continental Free Trade Area, and negotiations for a new cooperation agreement between the African, Caribbean and Pacific developing countries and the European Union after 2020. The theme of the 32nd session is: "The Year of Refugees, Returnees and International Displaced Persons: Towards Durable Solutions to Forced Displacement in Africa." The president said the session presented an invaluable opportunity to reflect on and address the root causes of forced displacement in Africa.